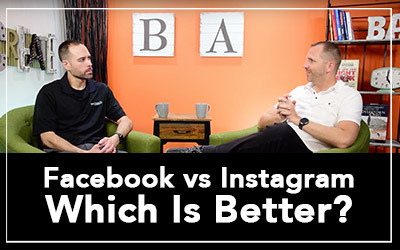 There have been debates since Facebook bought Instagram, and even before, about which platform is better and which should be the go to source to get more followers and ultimately more business. In the latest episode of Business Acumen, Joe and I discuss which is better in 2018. If you'd prefer to digest this topic in podcast format, listen to our Business Acumen show below. To start, I think it’s important to give a little background into the evolution of social media over the past few years. It’s important because to understand where we are going it helps to know where we’ve been. And in the past several years we have been all over the place! Facebook started as a means for connecting with friends from school and to keep up with them after graduation. It morphed into a platform where you could easily provide quick (or not so quick) updates about your life and things happening in the moment. It then evolved into a long form publishing tool for people and brands to share massive amounts of content. 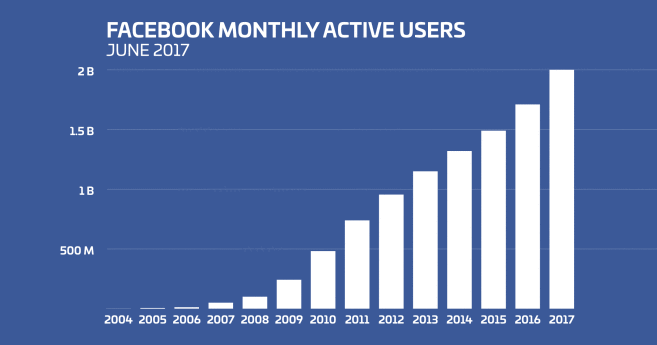 From there, as competition drove innovation, Facebook added functionality in photo sharing, video sharing, and even a reimagined instant messaging experience. Instagram on the other hand was build with photography in mind from the outset. Focusing heavily on picture storytelling and moving into the world of video and live streaming to share more moments as they happen in more engaging ways. Because Instagram is a phone app at its core, there’s no surprise that younger generations flock to the platform because they are taking pictures and videos with their phone constantly, and having the ability to share those stories in real time makes the Instagram platform a hotspot of these individuals and groups. I know your question, which should I use? That’s why you’re reading this. And please don’t hate me for this answer, but as with most things - it depends. But I won’t leave you there. It depends on who you want to talk to and interact with - in other words, who is your customer? Now, if we dive a little deeper it gets tricky. But there’s a problem with these stats. Numerous studies have found that many 18-24 years olds will create a Facebook account and never use it. The reason is that they know their parents are watching their Facebook accounts so they will create one, but will spend all their time in other places like Instagram and Snapchat. But there is no doubt that Facebook gets the lion's share when it comes to overall users on the platform. So how does Instagram compare? So what can we learn from the comparison of these two sets of information? With Instagram it is obvious that there are few people over the age of 50 on the platform, so if you are trying to reach the 50+ community, Instagram is probably not the place to do it. Look to Facebook. 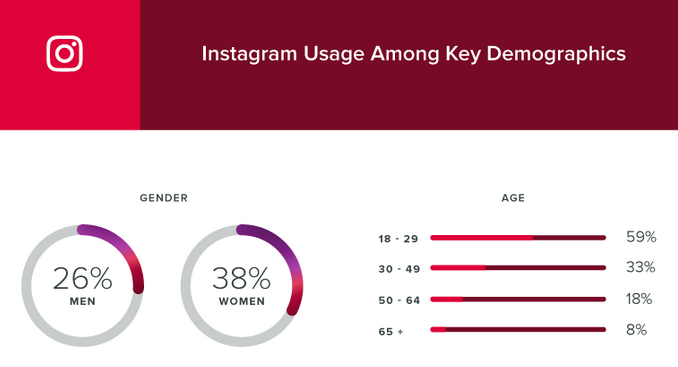 If you want to reach the roughly 354,000 18-29 year olds, they are actively using Instagram. The last consideration worth mentioning is to look at what type of content your customers prefer. Do they love to dive in to a nice long article with lots of juicy information (like this one) or do they prefer short bursts with a highly visual impact? Facebook allows for much more content while Instagram is all about a picture or video and some text. Know your audience to know which they prefer. Instagram and Facebook each have their unique strengths and weaknesses. Go to where your audience is and engage them where they are. And in the end test it and test it again to see what gives you the best results. On the Q&A section of the Business Acumen episode we were asked, what’s the next big platform? And the answer that we feel is likely to be a winner is Voice. Alexa ads are a big upcoming platform. Video is also still growing, and live streaming is continually gaining momentum (especially advertising within live streams). We also touched briefly on VR/AR, but AI is a big thing that is gaining in popularity in a big way. IBM Watson is a great example of what machine learning can do in that space. And lastly, WiFi hotspots, with ads, have been around for a long time but is showing up more and more. The beauty of this technology is the ability to offer wifi and walk away with ad impressions and in many cases cell phone numbers and email addresses for retargeting later. If you want to hear the full Q&A section or the whole show, listen to the audio or video that supplements this article at https://summitup.biz. We love getting feedback and questions from the community, so please comment on this article, or on the podcast or YouTube videos. We are here to bring value and the best way we can do that is by giving you what you need to make it to the top of this mountain we call business!